The Millennium Challenge Corporation’s partnership with the Government of Jordan transformed the nation’s water infrastructure, creating new opportunities for growth and stability in one of the most water poor countries in the world. The $275.1 million investment helped improve water delivery to the Zarqa Governoratea region of over 1 million people east of the capital city of Amman.Delivery was improved through increases in the supply of water available to households and businesses and through improvements in the efficiency of water delivery, the extension of a wastewater collection network, and the expansion of a wastewater treatment facility. As a result, 1,160 km of new water and wastewater pipelines were constructed, bringing water to more citizens and businesses in Zarqa and also reducing water loss from leaky pipes. The wastewater network expansion extended the wastewater system to nearly 55,000 additional people, collecting more wastewater for treatment. A highly acclaimed public-private partnership financing structure expanded a world-class wastewater treatment plant, increasing its capacity by one third and allowing it to treat 70 percent of the nation’s wastewater. The compact also helped train thousands of citizens on best practices in water conservation and provided instruction and job opportunities to women interested in becoming plumbers. Effective procurement strategies and careful management of expenses enabled savings that were reallocated to fund the installation of additional wastewater pipes, the construction of a new water utility building in Zarqa, and the purchase of sewer cleaning vehicles to clean and maintain the water networks in Zarqa and Amman. The compact’s investments were coordinated with USAID assistance and responded to Jordan’s appeal for more long-term support to the country’s water and wastewater infrastructure. Already one of the world’s driest countries, Jordan has faced a water shortage exacerbated by the needs of those displaced by the war in neighboring Syria. At the end of the MCC compact, more than one million Syrians were taking refuge in Jordan, further straining the water infrastructure. 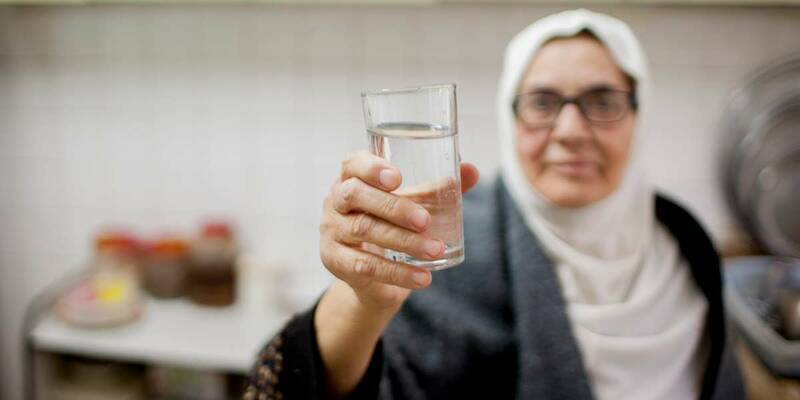 Demand for water increased during the compact period by 40 percent and government officials and development experts agree that Jordan will continue to require further investments in the water sector to address the stresses caused by the Syrian refugee crisis. The MCC compact was particularly important given the additional pressure on Jordan’s water resources and infrastructure. Launched in 2010, months before the crisis in Syria began, the compact carefully targeted improvements to water and wastewater infrastructure in Zarqa, one of Jordan’s largest cities. Around half the water that entered Zarqa’s water system was being lost through leaks in the network, an unsustainably high loss given Jordan’s already scarce water resources. Valued at the marginal cost of water production, these losses at the time amounted to more than $10 million a year. This report provides a summary of the tangible outputs of the compact program, documents changes in compact activities and the reasons behind them, details information on performance against targets in the monitoring plan, and summarizes the results of independent evaluations that have been completed. Some evaluations for compact activities are not yet complete and this report will be updated to include that information when available. MCC’s Board of Directors first selected Jordan as eligible for MCC compact assistance in November 2006. As part of its compact development process, MCC conducted analyses to determine the binding constraints to economic growth in the country, and the Prime Minister of Jordan established the Millennium Challenge Unit to manage the development of a detailed Constraints Analysis and Sector Analysis in the first half of 2008. The Unit then conducted a broad consultative process that garnered feedback from donors, private sector representatives, civil society organizations, and ordinary citizens in each of Jordan’s twelve governorates. Throughout this process, the challenge of addressing Jordan’s severe water shortages emerged as a key priority. During further consultations, key stakeholders in the water, sewer, and sanitation sector emphasized the need to (i) improve water delivery systems to reduce water losses and (ii) expand capacities for collecting and treating wastewater and reusing it in agriculture, wherever appropriate. This led the Government to propose a compact comprised of four major projects related to the rehabilitation of the water distribution system and expansion of the capacity for collecting and treating wastewater in Zarqa Governorate, among the poorest and most urban areas in the country. A history of neglect coupled with rapid population growth had strained critical water and wastewater infrastructure throughout Zarqa. Residents continuously complained of sewer main overflows and water pipes made of cheap, flexible tubing that ran above ground through city streets, where they were subject to considerable wear and tear. MCC agreed to jointly develop three of the four projects, which included rehabilitating and extending water distribution and wastewater collection networks and expanding the capacity of an existing wastewater treatment plant that treats the majority of wastewater from the Zarqa Governorate and the capital city of Amman. Through separate investments outside of the compact, the Government of Jordan agreed to fund the fourth project, a conveyor pipeline to carry high-quality treated wastewater to agricultural areas in the Jordan Valley; andcontributed $20 million to expand wastewater pumping stations to complement MCC’s investments in the sector. At the end of the compact in December 2016, the Government of Jordan and MCC had spent 99 percent of the allocated compact funds to increase the supply of water available to households and businesses and help improve the efficiency of water delivery, wastewater collections and wastewater treatment. Given the nature of the investments, the entire kingdom’s population is expected to benefit from them. Further details of the compact results and impacts will be shared in forthcoming impact and performance evaluations, expected by 2019, with a final report to be submitted in 2021. Estimated benefits correspond to $270 million of compact funds, where cost-benefit analysis was conducted. Estimated benefits are included in the Wastewater Network Project table below. The As-Samra Wastewater Treatment Plant was constructed in 2008 with support from the U.S. Agency for International Development (USAID) to replace the highly polluting waste stabilization pond system outside Amman, and is the primary facility for treating wastewater from Jordan’s Amman and Zarqa Governorates. However, the demands of a growing population had pushed the capacity of the plant to its limits. Without an expansion to properly handle the region’s growing volume of wastewater, the plant would be overloaded, its ability to treat wastewater would deteriorate, and downstream agricultural areas that rely on treated water for irrigation would face serious food safety risks and the loss of markets for agricultural products. The objectives of the As-Samra Expansion Project were to (i) increase the capacity to treat wastewater from Amman and Zarqa Governorates, (ii) increase the volume of treated wastewater that is available as a substitute for freshwater for non-domestic use, and (iii) protect existing agriculture from the potential consequences of pollution from untreated wastewater. Under a project finance public-private partnership, with help and a funding commitment from MCC, the plant underwent an expansion and technological upgrades, which allowed the Government to treat 70 percent of the country’s wastewater and meet the region’s wastewater treatment needs through 2025.The plant has improved the long-term sludge management and disposal practices and helped preserve Jordan’s scarce water resources. The expanded plant provides 133 million cubic meters of high-quality treated water per year – equivalent to over 10 percent of Jordan’s entire annual water resources – for irrigation in the Jordan Valley. At the end of the compact, approximately 375,000 households (2,023,000 individuals) in the Zarqa Governorate and neighboring Amman benefitted from the project through additional supplies of freshwater transferred to these areas as larger volumes of treated wastewater were made available for substitution in agricultural applications in the Jordan Valley. This included approximately 8,500 households in the Jordan Valley (46,000 individuals) that receive consistent supplies of high-quality treated wastewater that can be used for irrigation. The As-Samra plant also provides bio-solids for potential reuse in fertilizer and fuel, and produces nearly 13 megawatts of energy, or 80 percent of its own energy needs, from biogas and hydropower, making it one of the most modern and energy efficient treatment plants in the Middle East. Additionally, unused budget identified during implementation of other parts of the compactwas reallocated to the project to purchase four high pressure jetting sewage cleaners enhance system maintenance and capacity, thereby leading to a longer life-span of the sewage lines. More information can be found in the Compact Changes section below. The project was financed as a public private partnership using a build-operate-transfer arrangement. In these arrangements, a government assigns responsibility to a private sector entity to finance, design, build, operate, and maintain the facility for a certain period. The As-Samra expansion was financed in partnership with the Samra Wastewater Treatment Plant Company Limited (SPC), a private company that built the original plant and operates it under a concession from the Government of Jordan. Under this arrangement, the compact covered half the cost of construction, while SPC mobilized debt and equity funding to cover the remaining construction costs, along with project development and design, project management, and interest costs. 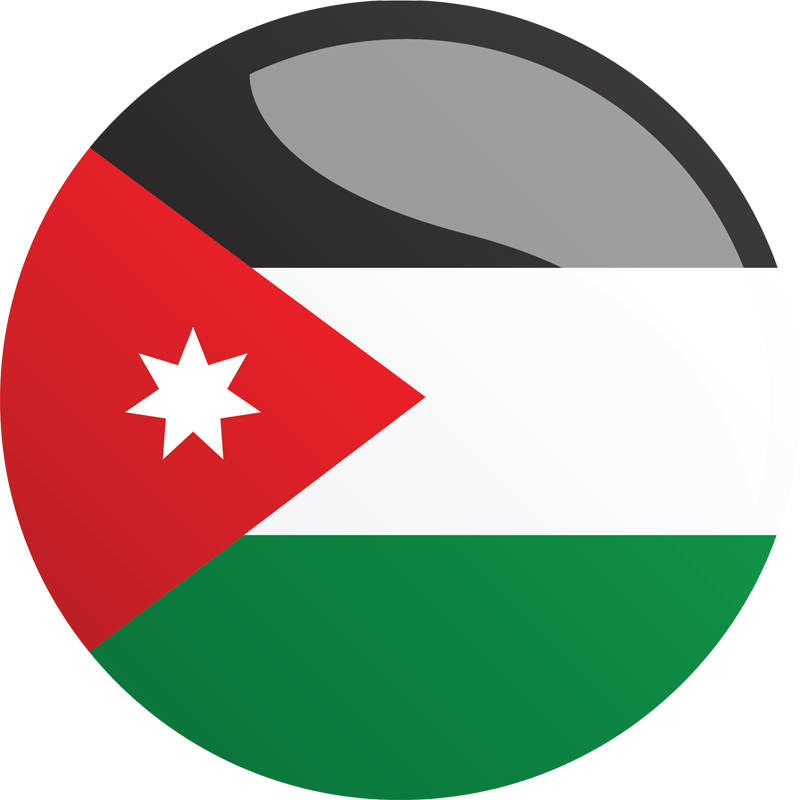 Due to the grant nature of MCC’s investment, the project was more affordable for the Government of Jordan and financially attractive for SPC and Jordanian banks. MCC’s grant did not subsidize the private sector, as the private investors earn a return only on their investment.MCC’s involvement also reduced the cost of capital, allowing lower water and wastewater tariffs to consumers than might otherwise had been necessary. Through this financing method, the private sector not only provided over 50 percent of the cost of construction, but it assured the Government that the facility will be operated and maintained at world class standards for 25 years. At the end of the concession period, in 2037, the agreement requires that the facility be transferred back to the Government of Jordan in good working order and at no additional cost. The project won international awards, including the “Water and Energy Exchange International Award for Innovative Financing,” and the “Best Water Project Award” by World Finance Magazine. The project represented MCC’s first major participation in a build-operate-transfer agreement, and its role in providing what is referred to as “viability gap funding” was critical to expanding As-Samra. MCC also provided grant funding for the Jordanian government to hire transaction advisors to assist the Ministry of Water and Irrigation in the project’s commercial negotiations. The As-Samra Expansion Project is designed to raise the capacity of the existing treatment plant to prevent release of polluted effluent and ensure that the additional wastewater volumes resulting from the Water Network Project and Wastewater Network Project investments will provide clean, treated wastewater for irrigation to farmers in the Jordan Valley. With access to additional treated wastewater, the project expects that farmers will switch from fresh to treated water, freeing up fresh water for higher value uses by households and business in Jordan. The impact evaluation utilizes a natural experiment that varies the amount of treated wastewater available to farmers across the Jordan valley and a complex water balance model to assess whether farmers use additional treated wastewater and the economic impact of that switch. Preliminary analysis at the end of the compact indicated that increased wastewater flows to As-Samra are generating a greater volume of clean, treated water for irrigation and that farmers are changing their farming practices to take advantage of this new water supply. The As-Samra Expansion Project successfully increased the amount of clean, treated water (quality effluent) available to farmers for irrigation in the Jordan Valley. Despite the increase in available treated water, agriculture use of treated wastewater by farmers in the Jordan Valley fell over the course of the compact. This reflects a broader decline within the Jordan Valley in the total number of hectares under cultivation. The impact evaluation, which is designed to capture the isolated the impact on farmers of increased access to treated water, found at midline that farmers increased the amount of treated water that they used on their farms and began shifting cultivation from fruits to vegetables to better take advantage of the additional water. The endline survey will examine whether this result is sustained. National population exceeding 9 million. The higher beneficiary number reflects the revised view of project benefits as primarily comprising resource savings to the economy at large. To date, observations do not validate expected changes in consumer usage of water and expenditure on water that were anticipated at the time of compact development. 2012 constant (or approximately 2005 PPP $164 million). The original presentation was in 2005 PPP dollars for international comparisons. The end of compact analysis was carried out in 2012 constant values. The original economic rate of return (ERR) was based on three main benefit streams. First, there is an estimated addition to household income that would come about as people shift demand away from expensive water sources (e.g. tanker water), to the less costly network water supply. Second, this shift was expected to also generate health benefits as a result of increased access to clean water. And third, the investment was expected to lead to lower water production costs as a result of reducing physical losses in the rehabilitated water network. The closeout ERR is estimated at 13 percent, lower than the original rate, but still above MCC’s 10 percent threshold. This number was driven by benefits realized from lower water production costs. However, the other two benefit streams did not take shape as projected at the beginning of the compact, resulting in a close-out ERR that declined below the original estimate. In the case of the first benefit stream, households in Zarqa were actually spending more on water that does not come from the network, like tanker and bottled water, at the end of the compact than they were before the compact began. While it is too soon to know whether this reflects the impact of the project (the new system had only been operational for a few months when the last round of surveys were conducted), it means that households had not yet started to save money on water at the end of the compact. Additional data on how the project impacted the amount households spend on water will be available in 2020. For the second benefit stream, while it was originally thought that the project would generate economic benefits through improved hygiene and water consumption, research that emerged during the compact period indicated that water borne diseases are not driving health costs in Jordan. At the time of compact development, an estimated 50 percent of potable water supply in the Zarqa Governorate was lost through a combination of physical leaks, water thefts and administrative mismanagement. The water transmission and distribution network suffered from substantial disrepair, with parts comprised of cheap, flexible pipes that ran above ground through residential streets, where they were subject to puncture, wear and tear. Nearly 10,000 leaks were reported each year.The Water Network Project represented the largest investment in the water sector in the Governorate at the time. The objectives of the project were to (i) improve the efficiency of network water delivery and the condition of home water systems, and (ii) decrease certain costs that households in Zarqa Governorate incur to satisfy their basic water needs. Through the Infrastructure Investment Activity, the project reduced high water losses by repairing and upgrading transmission and distribution pipes throughout Zarqa. The activity rehabilitated864.7 kilometers of water pipes, built a new pump station, and installed 41,650 household water meters. It established clearer and more efficient district metering areas (DMAs), laying the foundation for better operation and management of the entire water utility. The activity also contributed to a decline incommercial and physical water losses from 61.6 percent to 50.7 percent across the Zarqa Governorate during the life of the compact, helping the Government manage increased pressure on water resources due to endemic water scarcity, population growth and the influx of Syrian refugees.The reduction of physical losses improved the cost recovery of the Zarqa water utility. The utility expects to achieve full cost recovery of operations and maintenance by 2019. In addition to reducing physical leaks, the project established the transition from periodic distribution under high pressure to more frequent gravity-fed distribution that improved customer service, reduced wear and tear on critical infrastructure, and extended the lifespan of the network. The Water Smart Homes Activity improved the quality of plumbing and water storage in the homes of 3,958 poor families in Zarqa as well as in 22 public schools. The overall objective of the activity was to improve the condition of home water systems and decrease the water costs of households, particularly poor households. The activity used a two-prong approach: an outreach campaign on in-house water management of water quality and water conservation; and an infrastructure component that replaced or improved the plumbing and water storage systems of poor households. As a result, 3,958 households were supplied with improved water and wastewater. In addition, thirty women received training and tools to become self-employed as plumbers in response to a need within the community to sustain water improvements and proper management of resources.Some of these women worked as plumbers for construction companies responsible for implementing household water repairs under the compact, including replacing water tanks. In addition to the original activities included in the compact, unused budget identified during implementation allowed MCA-Jordan and MCC to reallocate $1,617,145 to fund construction of a new water utility administration building, intended to enhance the utility’s operation and maintenance activities by placing staff in the same location and creating more space for customer service. An impact evaluation will examine the benefits of the compact projects to Jordanian households and farmers. This rigorous impact evaluation, the first of its kind in Jordan, will assess the impacts of the water and wastewater network projects on household income, and will also include a water balance analysis to estimate the magnitude and economic impacts of changes in the availability of freshwater and recycled treated wastewater. Given the influx of refugees into the Zarqa Governorate and the capital city of Amman, the evaluation will include a detailed refugee survey to understand the extent to which they benefit from compact investments. MCC is also collecting detailed monitoring data on the network and at the utility to better understand how water delivery and wastewater collection evolved in Zarqa after the compact. Data collection for the evaluation is anticipated to be completed in 2019 after a three-year exposure period, with a final report to be submitted in 2021. The Water Network Restructuring and Rehabilitation Project is expected to increase the amount of piped water available to households and businesses in Zarqa and Russeifa by replacing old, leaky network pipes. New water meters are expected to reduce commercial losses and increase revenue to the now more commercially-oriented water utility, which was entered into a management contract 6 as part of the compact. The impact evaluation of the Water Network Project will determine whether (1) the amount of piped water used by households increased, and (2) households substituted expensive, non-network water with cheaper piped water. The impact evaluation will be informed by analysis of key utility performance indicators to look at the impact of the project (including new meters) on the financial well-being and operational performance of the utility. The evaluation will assess both how the operations of the utility impact the efficacy and longevity of compact investments and how compact investments affect the bottom-line of the utility. The Water Smart Homes Activity will be evaluated in a qualitative component of the overarching evaluation that is currently under design. Preliminary analysis of midline data found that households have better water pressure and more days of water per month as a result of network improvements funded by the compact, though they are spending more on non-network water than at baseline. The Water Network Project replaced more pipes and customer meters than planned at the beginning of the compact. According to preliminary evaluation findings, customers who live in areas where the compact improved the network report higher water pressure and more hours of water, reflecting significant if preliminary improvements to their water service. Despite these positive signs, non-revenue water and continuity of water supply remain higher than their end of compact targets. The higher than expected level of these outcome measures reflects the complex nature of the water network in Zarqa and the challenge of accurately measuring the benefits of the project to how the network functions. Non-Revenue Water (NRW) measures the water that is pumped and then lost or unaccounted for, and is challenging to capture in Zarqa due the sprawling water network that must serve a rapidly growing population. Measuring NRW accurately requires reading nearly 170,000 customer meters on a consistent basis. While Miyhauna-Zarqa (the water utility) continues to make operational improvements, reading every customer’s meter regularly is a long term goal, rather than a short-term reality. In recognition of this fact, MCA-Jordan and MCC worked with Miyahuna-Zarqa to measure NRW in areas where the compact improved the network and a selection of areas that were not improved. Areas with the improved network have a NRW of only 35.5 percent as compared to 70.4 percent in areas where the old network remains, reflecting the significant reduction in the amount of water leaked from the pipes in compact areas. While this represents a significant improvement, NRW in compact areas is still not as low as the end of compact target. NRW is a combination of the amount of water lost from the pipes and commercial losses at the utility. At the beginning of the compact, MCC and MCA-Jordan assumed that the majority of the measured NRW was water leaked from the pipes, which was measured at zero in pressure tests performed on compact constructed pipes. Seven years later it is apparent that commercial losses are a bigger challenge in Zarqa than previously understood. USAID is building on the compact and working with the utility to reduce its commercial losses in order to reduce NRW even further. MCC and the Government of Jordan originally expected that the investments would increase the hours of available water to customers. This expectation changed with improved understanding during the compact of how hours of supply were allocated and measured on the network. The utility in Zarqa reports the scheduled number of hours that engineers plan to allow water to flow to the network, not the continuity of supply. This means they capture the expectations of the network managers for how much water will be needed to service the demand in different areas, not how many hours of water different parts of the network actually receive. In recognition of this measurement challenge, MCC and MCA-Jordan worked with Miyahuna-Zarqa to record the actual numbers for water serving compact areas and non-compact areas at the end of the compact. Given this, the lower number of hours of water supplied to the network in compact areas reflects the reduction in physical losses in those areas of the network. When determining how many hours of supply to offer, the engineer watches the speed of the flow of water out of the reservoir. Miyahuna engineers report that when serving the areas improved by the compact, fulfilling customer demands requires fewer hours of supply and, thus, less water due to the reduction of leaks in compact areas. Estimated benefits correspond to $188 million of project funds, where cost-benefit analysis was conducted. (5.1 million revised) This corresponds to the population increment of Zarqa and Amman over 20 years plus about 50,000 agricultural beneficiaries. The total estimated beneficiary population would have been about 5.1 million if one considers the total population as beneficiaries and not the cumulative increment. This is the position for the end of compact re-assessment. The higher beneficiary number reflects the revised view of project benefits as primarily comprising resource savings to the economy at large. To date, observations do not validate expected changes in consumer usage of water and expenditure on water that were anticipated at the time of compact development. The number includes a farming population in the Jordan Valley that would have lost livelihoods in the absence of access to treated waste water to substitute for declining available supplies of fresh surface water for use in irrigation. 2012 constant (approximately 2005 PPP $700 million). The original presentation was in 2005 PPP dollars for international comparisons. The end of compact analysis was carried out in 2012 constant values. The economic analysis for the Wastewater Network and As-Samra Wastewater Treatment Plant Expansion Projects was based on valuing savings in the cost of water supply for the Government of Jordan due to the substitution of treated wastewater for use in irrigated agriculture where more expensive surface fresh water otherwise would have been used. The estimated ERR for the projects increased from 14 percent when the compact was signed to 21 percent at the end of the compact due primarily to two factors. First, the project exceeded its civil works targets, providing higher water collection capacity than anticipated at the time of compact development. Second, the cost of bulk fresh water rose during compact implementation, increasing the value of cost savings from substituting treated wastewater for fresh water for the Government. In 2007, the wastewater collection system in Zarqa Governorate was limited in reach and endangered public health. The system frequently overflowed into city streets and the surrounding environment, relied on pump stations that had insufficient capacity, and did not serve nearly 30 percent of the population. The Wastewater Network Projectrepresented the largest investment in wastewater infrastructure improvements for Zarqa Governorate system. The objectives of the project were to (i) increase access to the wastewater network, (ii) increase the volume of wastewater collected within Zarqa Governorate for treatment and reuse, and (iii) reduce the incidents of sewage overflow. The Wastewater Network Project was originally comprised of two activities: (i) the reinforcement of existing networks and rehabilitation of existing sewer main lines in West Zarqa, and (ii) the reinforcement of existing networks and rehabilitation of existing sewer main lines in East Zarqa. The project extended service to households that were not connected to the sewer network by constructing over 300 kilometers of new sewers in the neighborhoods of East Zarqa and West Zarqa, both of which lacked access to the sewer network.The extension of lateral sewer lines raised wastewater service coverage rates from 72 percent to about 84 percent of the local Jordanian population, though coverage rates of the full population dropped due to the influx of Syrian and Iraqi refugees. These new customer connections also generated additional wastewater. The project provided more than 8,700 connection points to the wastewater pipes, which allowed over 54,800 people to be connected to the new wastewater system. These new customer connections generated additional wastewater which is treated at the As-Samra Wastewater Treatment Plant and reused in agriculture downstream in the Jordan Valley.The project also utilized unused budget identified during implementation of the compactto add 65 kilometers of pipes to the Princess Haya neighborhood of the Zarqa Governorate and to purchase high pressure jet cleaning vehicles for the water utility to enhance system maintenance. More information can be found in the Compact Changes section below. The Wastewater Network Project impact evaluation seeks to understand whether households and businesses benefit from increased access to the wastewater network and whether farmers substitute fresh water with treated water for irrigation. Preliminary analysis indicates that households are connecting to the network at significant rates, increasing the flow of wastewater to the As-Samra Wastewater Treatment Plant. By applying unused budget identified during implementation of the compact, the Wastewater Network Project built more kilometers of pipes and connection points than expected. With this expansion, more people subscribed to the wastewater network at the end of the compact than forecasted. Despite increasing the number of people served by the wastewater network beyond the target, the percentage of the population connected to the wastewater network fell over the course of the compact by 35 percent. This was due to the sudden influx of Syrian and Iraqi refugees roughly halfway through the compact term, which caused the population in Zarqa to increase unexpectedly. Without the influx of refugees, if the population had grown at the rate expected at the beginning of the compact, the percentage of the population served by the network would have increased from 72 to 85 with the wastewater network expansion, nearly achieving the compact target. Over the life of the compact, Miyahuna-Zarqa began managing the Zarqa utility and improved the customer service provided at the call center. With this improvement in response to customer complaints, more calls were recorded by Miyahuna each time there was a sewer network blockage. Despite the increase in number of calls and improvements in recording, the number of complaints received about sewer network blockage still fell substantially over the life of the compact, reflecting a better performing network. Soon after entry into force of the compact in 2012, $4.5 million was reallocated to the As-Samra Expansion Project from Program Administration and the Wastewater Network Project following an increase in cost of the original project due to inflation in construction costs and exchange rate pressures attributed to the movement in the euro, which led to prolonged negotiations. This modification increased the engineering, procurement and construction cost of the Project from $88.8 million to $93.4 million. Princess Haya Network Expansion. The compact was able to re-program $18.9 million between 2014 and 2016 to fund approximately 65 km of wastewater network pipes in the Princess Haya neighborhood of Zarqa. This area had been studied during the project due diligence phase of the compact development process as it was adjacent to and west of the Wastewater Network Project area. During compact negotiations, it was determined that insufficient funds were available to further pursue this venture, and therefore the Princess Haya network was originally removed from the initial compact scope. WAJ Administration Building. MCC reallocated approximately $1.6 million between 2014 and 2016 to fund a consolidated administrative and operations building to house the local offices of the Water Authority of Jordan (WAJ), an autonomous corporate body linked to the Ministry of Water and Irrigation, responsible for the public water supply, wastewater services, and overall water resources planning. The construction of this building upgraded the operations capability of WAJ and enhanced customer service, thereby leading to ongoing stakeholder engagement and community involvement and improving the sustainability of the compact investment. Sewer Jet Cleaning Equipment. Six (6) high pressure jetting sewage cleaners at a cost of $964,000 were purchased to enhance system maintenance and design capacity, thereby leading to a longer life-span of the sewage lines. These were deployed by WAJ-Zarqa. Sewer Jet Cleaning Equipment. Four (4) high pressure jetting sewage cleaners at a cost of $762,000 were purchased to enhance system maintenance, thereby leading to a longer life-span of the sewage lines. These were deployed by WAJ-Amman. The Jordan Compact benefitted from successful donor coordination. MCC and USAID cooperated closely to help ensure that the United States’ investments in Jordan’s water sector were mutually reinforcing, cost-effective and sustainable. Input and collaboration between USAID and MCC played a significant role in the development of the As-Samra Wastewater Treatment Plant Expansion Project which built on previous work of USAID. USAID shared lessons learned on the original build-operate-transfer transaction of the plant. The agencies also collaborated on a feasibility study of bio-solid and sludge at the As-Samra Wastewater Treatment Plant. The study examined ongoing stockpiling of dried sludge and bio-solids at the plant, and developed short- and long-term solutions for proper use and disposal, including reuse in agriculture and land application. The results will assist the Government of Jordan in establishing a reuse strategy and developing related standards and guidelines. The organizations coordinated on sector policy, particularly during the development of the new National Water Strategy which called for a better management of scarce water resources and in analyzing tariff scenarios, on which USAID was the lead donor. As previously stated, the compact’s Women Plumbers Program (WPP) trained 30 women in semi-skilled plumbing. While a few of the trained women found employment, others needed further support to become economically active. To support program sustainability, MCC and MCA-Jordan explored establishing partnerships with other existing programs that support women’s entrepreneurship in Jordan. USAID’s Local Enterprise Support project will provide further support (training in business skills, coaching and provision of grants) to 24 of the 30 women graduates of the WPP to establish themselves as entrepreneurs through 2020. MCC and the Government of Jordan also worked closely with donors most active in the water sector, including Japanese International Cooperation Agency (JICA), Germany’s Deutsche Gesellschaft für Technische Zusammenarbeit (GTZ) and Kreditanstalt für Wiederaufbau(KfW). MCA-Jordan established a water advisory group that included representatives from USAID, GTZ (which represented KfW), and JICA. In addition, MCC and MCA-Jordan participated in a donor-lender task force to coordinate water sector projects in Zarqa, under the leadership of GTZ. The complementary investments by the Government and other donors will amplify and improve sustainability of the MCC compact.The Government contributed a total of $92.4 million in improvements in the water sector in Zarqa—exceeding the compact agreed-upon amount of $73.7 million. These funds, managed independently, were used for the construction of additional pumping stations, wastewater and water lines, water meters and O&M training. As a CP to the compact, the Government of Jordan is required to develop and implement a cost recovery plan, which may include tariff reforms, to achieve full cost recovery of the O&M operations. (b) Prior to the first Disbursement of Program Funding after the second anniversary of the entry into force of the compact, the Government will have submitted an update to the plan originally submitted to MCC in November 2011. (c) Prior to the first Disbursement of Program Funding after the third anniversary of the entry into force of the compact, the Government will have submitted to the Council of Ministers a proposal, in form and substance satisfactory to MCC, requesting the tariff index adjustments identified in the plan. 1st Update Plan Submitted on April 1, 2014. The agreed tariff adjustments outlined in the Plan were implemented on May 7, 2014 when the Government of Jordan increased the wastewater tariffs by 15% and these changes became effective on July 1, 2014. Cost recovery plan, to achieve cost recovery of the projected Treatment Charges as a result of the As-Samra Expansion Project. As a CP to the compact, the Government of Jordan is required to develop and implement a cost recovery plan, which may include tariff reforms, to achieve full cost recovery of the projected Treatment Charges as a result of the As-Samra Expansion Project. (2) Prior to the first Disbursement of Program Funding after the second anniversary of the entry into force of the compact, the Government will have submitted an update to the plan originally submitted to MCC in November 2011. (3) Prior to the first Disbursement of Program Funding after the third anniversary of the entry into force of the compact, the Government will have submitted to the Council of Ministers a proposal, in form and substance satisfactory to MCC, requesting the tariff index adjustments identified in the plan. Prior to the first Disbursement of Program Funding after June 30, 2013 the Government will have provided a duly signed contract for the feasibility study for a facility or facilities for the permanent disposal of sludge from the As-Samra Expansion Plant. Prior to the first Disbursement of Program Funding after December 31, 2014, the Government will have provided evidence satisfactory to MCC, that the Government has committed sufficient funds for the construction of the facility or facilities for the permanent disposal of sludge from the As-Samra Expansion Plant. Feasibility Plan CP met June 2013. Financing for final disposal facility secured by WAJ from KfW on Dec 04, 2014. The Jordan Program’s clear focus—concentrated in one location (Zarqa) and in a single sector (Water)—made the works easier to manage, more impactful, and increased the likelihood of sustainability: Concentrating on a single sector improved program management as it allowed for the recruitment of a highly trained water sector management team at MCA-Jordan with ready access to works at site. The program was highly visible in Zarqa due to its large-scale civil works that demonstrably improved water and wastewater infrastructure while also promoting awareness of issues regarding water availability and use in Jordan. This gave the program appreciable name recognition among the Jordanian people and may have promoted positive association with the United States. Finally, the program reinforced sustainability through multiple improvements to the water utility and its staff, policy changes, personnel training, equipment modernization and infrastructure improvements. These efforts are expected to enhance the operating structure and efficiency of the utility making it more cost effective and sustainable. Participating in a public private partnership (PPP) can prolong the compact development timeline: While the As-Samra Wastewater Treatment Plant Expansion Project was successfully completed in advance of the five year compact implementation period, participating in a PPP slowed the compact development process. To ensure full commitment to the As-Samra PPP expansion, MCC required that all parties to the PPP agreement complete their negotiations and reach financial close prior to implementation. The negotiation period of any PPP is difficult to anticipate as project risks need to be addressed, allocated and agreed upon by the parties at this stage. As a result of protracted negotiations and a large number of signed agreements, the Jordan Compact development process lasted months longer than initially anticipated. However, the final result was an expansion of a world class wastewater treatment facility, guaranteed to sustainably operate for 25 years. If MCC pursues a similar arrangement in the future, it should anticipate the need to allow flexibility in the compact development timeline. Meeting the MCC’s five year implementation period remains challenging: Final project results can, as in Jordan’s case, meet or exceed its initial compact design, but a smoother implementation can be achieved through better planning during the compact development process and flexibility during the implementation period. In major construction projects, a number of activities can be unplanned, and not having sufficient time to account for them can lead to many challenges. As an example, after awarding the wastewater contracts, it became clear that some of the technical designs were incorrect and needed to be revised. As there was no time to re-tender for new designs, MCA-Jordan mitigated this challenge by instructing its contractors to carefully commence limited works in parallel with finalizing the newly revised designs. While the approach was ultimately successful, the risk assumed required additional oversight which was conducted under a compressed time period. 1. Population estimates vary between 9.4 million (World Bank, World Development Indicators, 2016) and 8.2 million (CIA, World Fact Book, 2016), depending in part on the count of recent migrants. 2. Water scarcity, stress and security are related concepts, of which the last, from a development perspective, arguably is the most relevant. Jordan is among the most water scarce, stressed and insecure countries in the world (see https://maplecroft.com/about/news/water_security.html, accessed February 2018). For information on the water sector in Jordan see http://www.mwi.gov.jo/sites/en-us/Hot%20Issues/Jordan%20Water%20Sector%20Facts%20and%20%20Figures%202015.pdf. 3. Regarding the impact of refugees on Jordan’s resources see https://www.mercycorps.org/research/tapped-out-water-scarcity-and-refugee-pressures-jordan. 4. The beneficiary estimate was later changed to reflect the expectation that the primary benefit stream will be from lower production costs of water over time. This reduces fiscal demands on the public purse and implies macroeconomic benefits to Jordan (lower national debt, a lower tax burden on the public, or changing government expenditures). Such macro benefits imply beneficiaries beyond Zarqa households. This change in method for counting beneficiaries takes account of income impacts that are derived rather than intermediated. 5. Under MCC’s country ownership model, governments receiving MCC assistance are responsible for implementing the MCC-funded programs. Partner governments establish units known as accountable entities referred to as MCAs to manage implementation for compact projects. 6. MCC’s investment supported the procurement of a private sector contractor to manage the operations of an independent, publicly-owned water company that assumed the Water Authority of Jordan’s responsibilities for water delivery and wastewater collection in the Zarqa Governorate. This arrangement provided improved administrative efficiency and cost recovery.